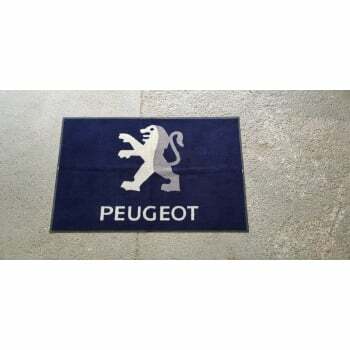 We are a nation of car lovers, and the French car manufacturer Peugeot has produced some amazing wheels over the years. If you are a car fanatic, or even own a little Peugeot hot hatch, then your garage would be complete with this large 6ft by 4ft Dirt Trapper Floor Mat. If your best friend is a BMW fan, this is the perfect way of keeping him out of your garage when he "is just borrowing some tools again".